We get to try a lot of products. Some of them are good, some not so good. Others you just can’t say enough about. 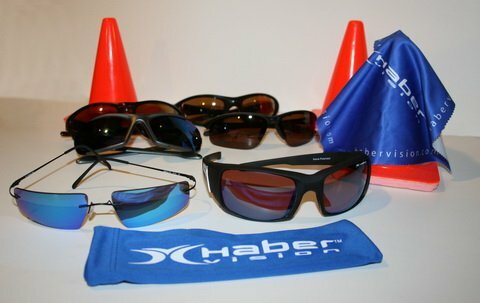 When I first heard about Habervision, I pictured sunglasses that looked like the Blue Blockers as Seen on TV or goggles that use the clown plastic like that found on a cheap snorkeling set. Such is not the case. I use sunglasses a lot; Spring, summer, fall and winter. I do a lot of shooting sports, fishing, hunting and it seems, driving. I’m outdoors as often as I can be. I’ve had sunglasses since I was very young and I’ve had my fair share of gas station $9.99 models. You know the ones; they block out UV rays for sure, but if you look at the road wrong the lenses scratch and after you fold them a few times the little screw that holds on the bow falls out. When Oakley came on the scene with sunglasses that retailed for $150, I just couldn’t see myself spending that kind of money on a pair of sunglasses. I opted for a cheaper brand (I can’t remember it now) that was about $40 thinking I’ve graduated to “adult” sunglasses. That is until I tried a pair of Oakleys and my eyes were simply amazed. Nothing beat the styling at the time and I just had to have a pair. By the time I bought, they had $120 versions which I liked, but they weren’t polarized. No matter, they still were pleasant to look through and while I knew that polarization was the key to a more relaxed vision, I simply had all I could do to get myself to purchase $120 sunglasses, let alone $200 sunglasses. They served me well over the years and I’ve still got them today, but they’ve seen their better days. I have a second pair of Oakleys which also has seen its better days (they were cheaper and I used them where the likelihood of them getting lost or damaged was higher) and I’ve got a pair of Smiths and have used them off and on until the lenses got too scratched. 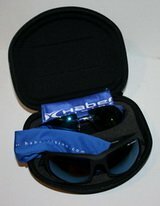 I then purchased a pair of Natives with interchangeable lenses that I now use for shooting glasses and (until the Habervisions) everyday use. Each pair of quality sunglasses has done me well, but once I’ve used the Haber’s and “seen the light” so to speak, there’s no turning back. I got a pair of the Habervision Kenai (you’ve seen me wearing them in my photos). At first I wasn’t so sure on the styling as they were a departure from my normal look, but after wearing them now for a year and a half, they have become like an old pair of jeans or those gloves that just plain fit well. These were a special pair that Habervision gave me for review and they were the only ones with a copper-only non-prescription lens as they were prototypes in this style for Habervision. These glasses have become a part of my life such that when I placed them on my truck bed cover and forgot to grab them before driving off I felt like I lost a friend forever. I didn’t realize that happened until two days later. I couldn’t remember where I placed them (which is unusual for me) and I figured I would eventually find them. But then I remembered what I did and was overcome by that anxious sickly feeling like the realization that you just took a big gulp of expired milk. I have a second pair of Habervisions, the Mallorca, which have a darker grey lens that I use on really bright sunny days, but the copper lens worked well for me. The copper is simply a great all-around lens color. 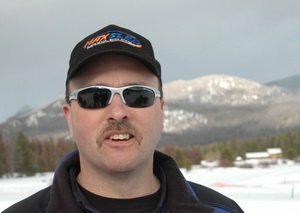 While the Mallorca glasses are lighter weight (I like to use them when I’m snowmobiling; they fit well under my Modular 2 helmet with the face shield up while I’m filming), they are simply not a complete replacement for the Kenai for me. I tried going back to my Natives, which do work well, but for some reason I continued to miss the Kenais. It has something to do with the fit; with the lens coverage and with the right amount of copper color; my Natives have brown lenses which is a darker shade than the Habervisions. I’ve got other lenses for it, but the grey lenses just don’t give me the same contrast as the coppers did and the other colors (clear, yellow, amber) are reserved for shooting. No, I needed to replace the Kenais and that’s just what I did. I knew that I would never get the copper-only lenses, but I had to order a pair anyway just to keep my sanity. They arrived a few days later. I couldn’t wait to put them on. I opened the package and admired the new specs only for a moment. My eyes anticipated the comfort, the polarization, the Rose/Copper lens color. My temples couldn’t wait to feel the smooth flat-black Trilon frame. I put them on and it felt like those old jeans that just fit right. I have my Kenais again. Much to my surprise the new Kenai model feels even better than I remember the last and the Rose/Copper lens color actually gives more definition than the copper-only lenses. In fact, I would call the new Rose/Copper lenses HD lenses because things seem much sharper than before. It could be because they are new without that light coating of fine scratches that sunglasses seem to get after much use, but that’s only part of it. Colors pop and if you haven’t tried polarized lenses, your eyes don’t know what they are missing. Polarization filters the light waves and allows only the vertical waves through the lenses to your eyes. All other light ray angles are blocked. This cuts the glare down tremendously without affecting natural vision. Fishermen swear by them and I should know, as I am one. You can see through the water and if the water is clear, you can see the fish just before they grab your lure. Also, the glare on windshields of oncoming traffic is reduced and you can see the driver. It’s a safety thing. You can see if they are paying attention to the road or texting on their phones. If you see them see you, then you know that you can meet safely. If your sunglasses don’t cut the glare, you don’t know if they see you or not. 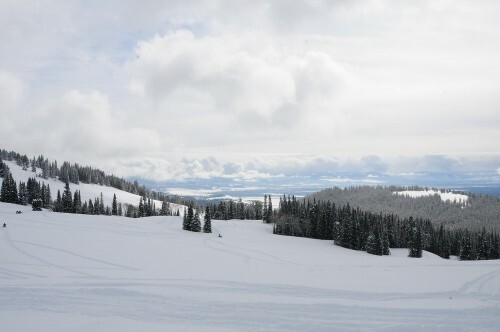 On snow having the correct lens color and polarization is critical to seeing definition. While driving, my Habervisions have helped relieve the tension your eyes can get during the hazy wintery days. Habervision uses the same technology in their goggles, but we’ll leave that review for another article. To give you a little background on Steve Haber, inventor and owner of Habervision, he developed the Bolle brand in the early 1980s. He took his company public in 1995 and later sold his interests. In 2005, he saw the need to develop sunglasses devoted to the polarized segment and co-founded Habervision LLC with Bill Nolan, a former V.P. of Product Development at Bolle. Both bring years of eye wear experience to the new company. Over the last couple of years, they have designed several styles and fitments for all sizes and tastes. Personally, I like the Kenai, Mallorca and the Multex styling (the Multex is close to the look my Natives have). But, there are many styles and lens colors that you may like as well. While the technology, styling, fitment and lens color choices are all excellent, the best thing may be the price. You see, while other brands sell excellent sunglasses, Habervision sells excellent sunglasses at about half the cost. The quality is the same if not better in some cases, but the price is more reasonable. As an example, my Natives cost me $129 at a national retailer (not a bad price), but the Habervision Kenai cost only $77.50. If you want interchangeable lenses, the Velocity will run you $77.50 with the lenses costing $10 a pair. 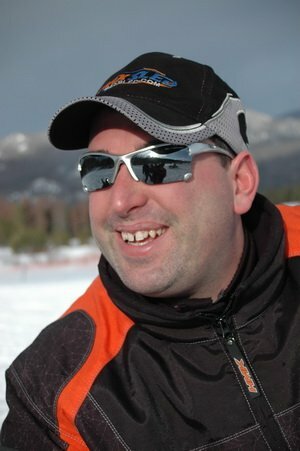 An equivalent styling to the Kenai in the Oakleys (polarized Fives Squared™ fishing specific) would cost $135. Smith makes the Advocate, which is similar to the Kenai for $119. Yes, Oakleys makes excellent sunglasses, and so does Smith and so does Native, but Habervision compares in quality and technology and beats all of them in price. My MaxSled colleagues used to think like I did before I got my first pair of really good sunglasses; that you don’t need anything more than $9.99 gas station gogs; but after my continuous ridicule and prodding and their actually trying a pair of Habervisions, some of them for the first time with optically clear polarized sunglasses, they now see the light as well. Here’s what they have to say about their Havervision experience. I’ve had other brands of high-dollar sunglasses, but none that are polarized. The first thing I notice when I put on my HaberVision sunglasses or goggles is that my eyes feel relaxed. Sort of like if you’ve been outside for awhile with no sunglasses on and then you go inside. Your eyes feel rested with HaberVisions. Plus, they are a great value when comparing them to other brands. I was your $10 sunglasses guy. I always seem to break them or lose them so why spend a lot of cash on them. 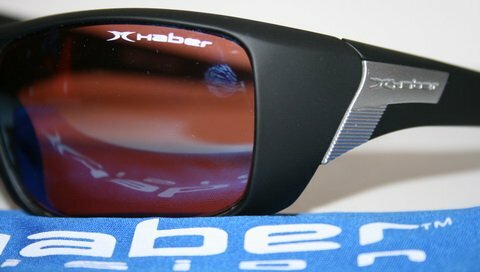 I have now had my Haber Vision sunglasses for 1-1/2 years and I love them. Once you put them on they make your eyes feel like they are on vacation. It’s amazing how much better I can see with them on. Mine are polarized so they work great in all conditions. They have proven to be very durable and sold me from day one. Once you try a pair on you will be sold. They are that good. As you look for your next pair of sunglasses, take a look at Habervision. While it is hard to try on a pair when you order them online, they will guarantee the fit and exchange them until you find a pair that you like and fit you well. Their web site has all the information. So what are you waiting for? Get polarized, get Habervision and you’ll feel like you’ve just put on that old pair of jeans. You can check them out at www.habervision.com. Use this Affinity Code (MAXSLED) to make sure you get the discount. When I ordered my replacement Kenai sunglasses, I also ordered this zippered protective pouch. This protects two pair of sunglasses and is a great place to put cleaning cloths or cloth pouches. It is made from formed hard foam with soft foam insert and is super lightweight and at only $15 is a no-brainer when you order your Habervisions.